Is there ANYTHING you can not get points for anymore? Check out my new 2013 budget! I am not one to mfg “fake spend” (although that does work) and I have blogged before about inventive ways to meet spend with normal, routine spending, and got several great ideas from my inventive Delta Points readers and I thank you for these ideas very much! I thought I could post an update on how extensive you can actually get with this plan from my 2013 household budget! Here is a list of things I pay regularly and by what means I do this. Some we covered already, but some are new thanks to new options like Bluebird and Visa gift cards (please never ever fly away blue jay)! Home Mortgage – I now pay this monthly with Bluebird. This is funded by Vanilla reloads purchased with either Chase Freedom when 5x at CVS or next month on my wife’s Chase Ink Plus to meet sign-up spend. After that, back to my AMEX Reserve card to meet the $60,000 yearly spend for 30,000 MQM’s bump and next year MQD’s. Not the best return on points but does meet spend. Homeowners Insurance – I use Ameriprise. Years ago I asked my loan company to remove it from my escrow so I could just pay it myself. Why not earn points after all? (with Bluebird this does become less necessary but I stick with it) For me, I have found Ameriprise to have the BEST rates over anyone else and they let me pay annually in full with a credit card, no fee, so that goes to my AMEX Reserve card. Auto Loan Payment – I haven’t got one of these right now, so if you didn’t arrange to purchase the car with a credit card or 2, then make this monthly payment with Bluebird. (I plan to negotiate to buy the car with my Delta Reserve to meet MQD spend in 2014. The dealer will hate it, but I think if I call around and am maybe willing to drive some distance, some dealer will take my AMEX to buy the car. I will then either just pay it off from savings or get a loan on the new car and make the payment with Bluebird). Auto Operating expenses – Gas works great on AMEX MR Gold card for 2x and the rest, like a broken record, ends up on my AMEX Reserve card. It is work to meet the $60,000 spend goal each year for my Reserve card. Groceries – Last round I got a LOT of gift cards with Chase Freedom card as they had 5x at grocery stores and thus I prepaid my food bill for many months to come to max out the quarterly bonus. Health & Life Insurance – they will not take a credit card so I will pay quarterly with Bluebird funded by the card I am currently trying to meet spend on. Property Taxes & Estimated quarterly taxes – they also will not take a credit card so I will pay quarterly with Bluebird funded by the card I am currently trying to meet spend on. Note you can buy $500 Visa gift cards at Office Depot on INK cards and then pay a processing service to pay taxes online with a card too and just about wash out even, but I like Bluebird better here. Medical – my chiropractor and massage therapist both offer prepay discount package rates (tip: ask about buying a 10 visit pack as many sell these); they also accept credit cards without a fee. Oh yeah, back to my AMEX Reserve card again! Dentist – Mine gives me a 30% discount to pay same day for services, and accepts credit cards without a fee. Otherwise see if you can arrange to pre-pay with Bluebird. My dentist doesn’t take AMEX but I can do the same as I do with my utilities below! Utilities – Cable, cell phone service, and trash collection all accept credit cards without a fee and many I will get 5x points for by using my Chase INK PLUS card! Now my gas & electric are both paid with Visa gift cards purchased with Chase Ink Bold at office supply stores for 5x UR points. The credit card payment fee for my utilities is a flat fee as opposed to a percentage, so it’s best to use $500 cards to get max benefit when buying the Office Depot Visa gift cards. Charity – This is one most miss out on. I love my US BANK FlexPerks / FlexPoints cards to buy Delta tickets with their reward points and earn Delta MQD’s+MQM’s+RDM’s and they pay 3x points (basically getting 6% back on this) on charitable giving! You can feel good about yourself and help fund your next Delta flight. Sweet. So those are my core monthly budget bills for my household. For now, Lisa & I do not have any pets as we did for most of our lives and will again one day. Then, vet bills will go on a card as well. Your budget may include lawn care (see if they will take CC or gift cards or send a check via bluebird) or snow removal as well. You see where this is ending up. There should not be anything you don’t earn a point for anymore and these points, in addition to retention and new card bonus points each year can be HUGE. ← Please check with Delta if you are going to fly Monday! Does not Bluebird have a 100 debit credit limit, with a fee? @Nick – you can load $5k/month $10k max. Can you please explain the BlueBird process a bit more. Are you able to link your Delta AMEX to BlueBird? @BC – see this post HERE to learn more about BlueBird. Then, no linking, I just use my AMEX to buy Vanilla reloads to fun BlueBird to pay my bills. Do most CVS accepts CC payment for vanilla reload? I stop by a local CVS store 1-2 months ago and they had signs stating that they will not accept any CC payment over 75$. Do you have any suggestions? @Bundy – all my local ones take them. Try others in your area. Walgreens has said cash only local for me. 1. When you fund Vanilla cards on your AmEx, do they show up as cash advances or regular charges? I assume both are “qualified spending”, right? 3. Do merchants who do not accept AmEx accept Bluebird for bill-pay? @ Russ – for now, when you pick CREDIT, at check out, it is just a normal purchase. It should be qualifying spend unless they shut this down before 2014. If they do, we will find a new way. The only fee is the vanilla purchase fee then all free. If you can not direct pay a bill from BlueBird then BlueBird sends a check. For my little local small town bank, it takes about 1 week from the time I ask BlueBird to pay my home loan until it gets posted via a mailed check. 1) Are you trying to hit Plantinum? If yes,is this a life-time status? 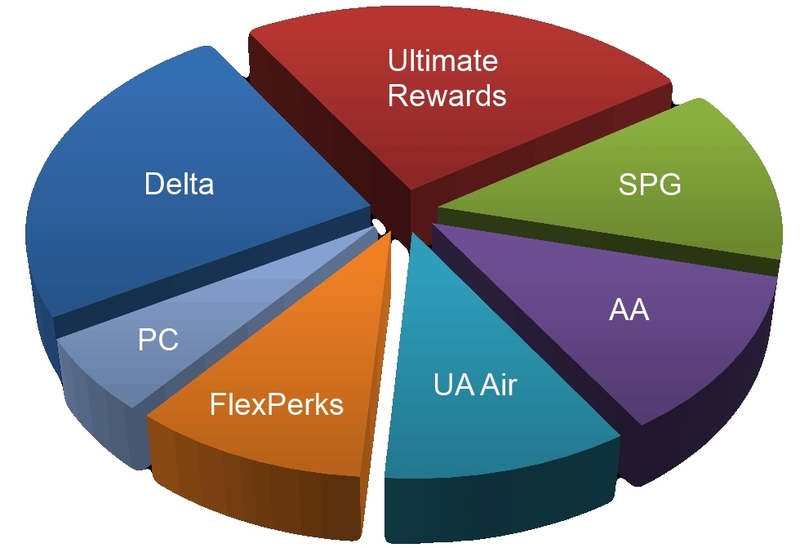 2) Do the benefits under Premium Sales & Services roll-over each year such as system upgrades, bonus points, giftcards etc or is this 1 time-perk. 3) Apologies for the ignorant question but why do you choose Delta over other airlines elite programs? Is it due to a Delta hub near your house, the perks, etc. I know this is a Delta blogsite and was wondering the perks. I rarely see blogs about Delta programs (usually United or British Airways). I pay my child support in Georgia per credit card, they don’t take Amex but Visa/MC work fine. @Longroller – their is one more you could use the OD Visa for. @Delta Points, thanks for your fast responses. I assumed the MGM (with the status) will roll-over, since technically you aren’t using any points. I guess it would be hard to achieve Platinum status without a business. Thanks for your help! !